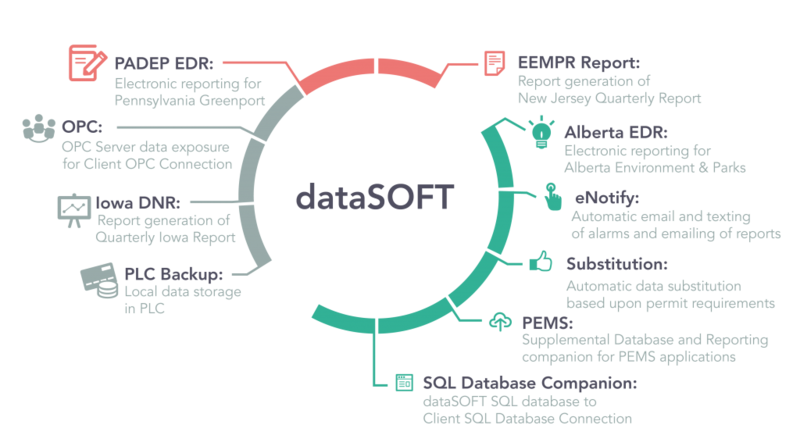 dataSOFT Service contains a powerful OPC Server that enables client’s DCS or Plant Historian to acquire data directly for Plant data archiving. 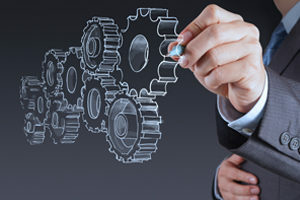 Numerous alternatives extist to exchange emission and process related data based upon existing Plant communication protocols (ex: Modbus, Allen Bradley Ethernet, Profibus, etc…). Have the main server locked down in a secure IT server room and be able to view real time data on a local computer. Easy access for Control Room operators as well as CEMs Technicians to be able to remotely monitor and control the CEMs. Have the main server locked down in a secure IT server room and be able to create system reports on a local computer. Easy access for Control Room operators, CEMs Technicians, Environmental Managers, and Environmental Consultants to be able to remotely create compliance reports to ensure permit emission limits and data availability requirements are maintained. dataSOFT companion application that automatically emails real time systems alarms as well as historical reports. Complete customization of which user should be notified of active system alarms and reports. Configurable frequency of notification based in minutes. dataSOFT can communicate directly to nationally manufactured PLCs including the following. 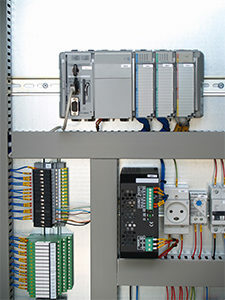 Our Project Engineers are experts is PLC programming and can accommodate unique client requirements for special PLC programming. Contec brings a powerful perspective built on experience, with decades of effective designs and implementations.